Business ownership requires you to be a great leader who understands how to effectively manage not only the people around you but also yourself. Entrepreneurship will put your patience and the ability to persevere to the test. Therefore, you need have to have a strong mental mind frame in order to build a successful business. If you easily crack under pressure, the team following your lead will also be easily susceptible to deteriorating when dealing with challenging situations. This is why you must be committed to improving as a leaders. Your ability to effectively manage the people under your guidance will be one of the deciding factors in you having a failed business or a successful business. You will find that successful businesses thrive because of great leadership. These leaders know how to get the best out of their team by keeping their team focused on the vision they are working towards. Everyone within their organization is committed to being the best, and it reflects upon the results that are produced from that business. If your goal is to build a successful business, you will need to know how to manage the people around you and the situations you are faced with. In order to help you improve your management process, here are 16 tips that you can use to ensure your team is helping your business consistently perform at its maximum level. Being an entrepreneur is a challenge that the average person is not capable of dealing with. The average person is used to security and having others tell them what to do. As an entrepreneur who manages others, you will have to take on the challenges of successfully building a business, while managing the emotions of your team. This puts a lot of pressure on you, which can make you stressed and weaken your focus. You cannot allow the challenges of being a business owner overcome your ability to be a great leader. If your team sees that pressure rattles your confidence, they will be wary of following your directions. Your time will have absolute confidence in you when you prove your ability to lead them towards successful results despite the difficulties of the situation. Never give up due to the challenges you are facing, and never let your team see you sweat. Even when the pressure is building up, never let it show. No one succeeds on their own no matter what it is they are pursuing. Help is needed in order to help you attain the goals you are pursuing. This is why it is very important that you build a team full of people who possess strong skill sets that you are weak in yourself. Ego-driven leaders have a hard time doing this because they believe they need to be the best person as the leader. Smart leaders understand that they need to surround themselves with people who are smarter than them. This is how successful results are produced. You will find it very difficult to build a successful business if your team is made up of mediocre people. You need to seek the best people available and convince them why they should work with you. These people are the ones you will need to be able to trust with specific responsibilities to ensure your goals accomplished. Therefore, you should only build a team that consist of people who are excellent in their designated field of work. People assume leadership is all about demanding others to follow your orders. This can be further from the truth. Real leadership is about knowing how to mentor those under your guidance, and also being receptive to learn from people under your guidance. Great leaders are created by knowing how to do both. This is because great leadership requires you to be both an great talker and listener. Effective communication is produced as a result of having these attributes. A great leader is always open to learning. Continuous learning helps you better understand people and how to deal with different situations. As much as you want to provide your team with the knowledge you have acquired, be willing to allow them to provide you with the knowledge they possess. This helps to create a team environment where everyone trust one another, and everyone is performing at a very high level. The best teams are the ones where everybody on the team is learning and growing. Your team will have a hard time following your lead if you possess any traits of weakness. Showing signs of weakness is basically communicating to your team that they should not trust in your ability to lead them. A weak leader is one that loses control of their team because they are unsure of themselves and this lack of confidence shows. Second guessing yourself and constantly backtracking on what you previously stated will quickly earn you a reputation as a weak leader. You must possess confidence as a leader and demonstrate your ability to lead people despite the circumstances that are occurring. People positively respond to strong leaders and follow their plans because they trust their ability to guide them in the right direction. If you remain strong and confident, your team will allows be willing to adhere to your outlined course of actions. You cannot build a great team if the people on your team are not growing. Individuals remaining stuck at the same level of performance does not help your organization move forward. Your competition is always working to improve themselves, which means your team has to possess the same mindset. This means you have to be willing to allow mistakes to be made. Mistakes help people and improve, which is what is needed for your team members to enhance their skills. Give individuals on your team more responsibilities. Allow them to show you what they are capable of so they can become a better asset for your team. This also takes some burden off of your shoulders so that you are freed up to lead your team without stress weighing you down. Therefore, if you push every individual on your team to grow, you will be rewarded with a team that helps your business grow in return. Even though you want all of your initiatives and projects to succeed, sometimes failure does happen. Failure is difficult to accept, but you must be willing to move on from your failing efforts instead of letting them eat away at you. If you allow failure to hold you back mentally, it will negatively affect the growth of your business as a result. You deal with failure by learning from why the failure occurred. This helps you improve your knowledge and adjust when faced with similar situations that caused your past failure to occur. As you gain more knowledge by learning from your failures, you limit to the amount of failures you deal with in the future. This doesn’t mean that you have to be happy when you fail. You just need to learn how to gain understanding of why failure happened so you do not make the same mistake again. Unfortunately, things will not always be happy and peaceful under your leadership. You will be faced with difficulties that will require you to effectively lead people despite their emotions and fragile mental state. You will need to stay steadfast in your strength, while also being understanding. But, this does not mean that you allow people to take advantage of the situation. You must remain strong as a leader to demonstrate that the mission at hand has not changed. Communicate well with your team when dealing with difficult times. Let them know that you plan to overcome the challenges that are happening, and tell them your exact plan of action. This will help them regain their confidence instead of being afraid of what will happen next. Your team’s ability to move forward will depend solely on you effectively managing the entire process of rebuilding. If you have never lead a Fortune 500 company, do not try to take on such responsibilities because they will be too overwhelming for you to handle. Instead, you need to focus on leading a team will you will actually have a chance at succeeding. Being a great manager of people means that you fully understand your own capabilities. Therefore, you want to lead a team that you can grow with so that your leadership is not undermined. Start off with a small team and learn how the team building process works. Over time you will grow as a leader, which allows you to grow your team by adding more people. 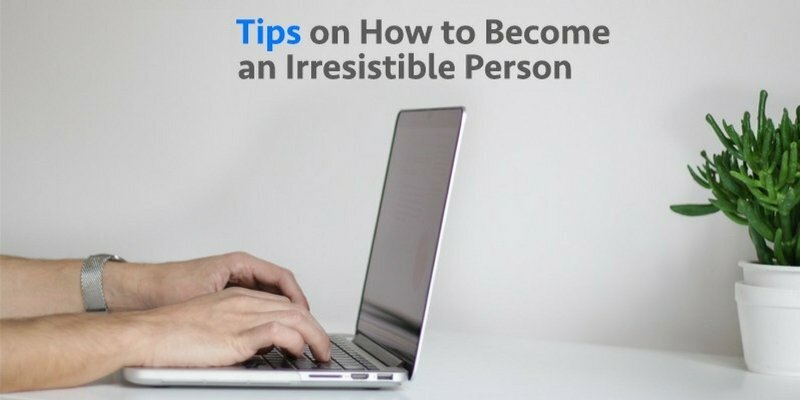 As you continue to learn how to grow and expanding team of people, you will soon find yourself leading an organization of hundreds or thousands of people. But, this will only occur if you learn how to build a team over time. 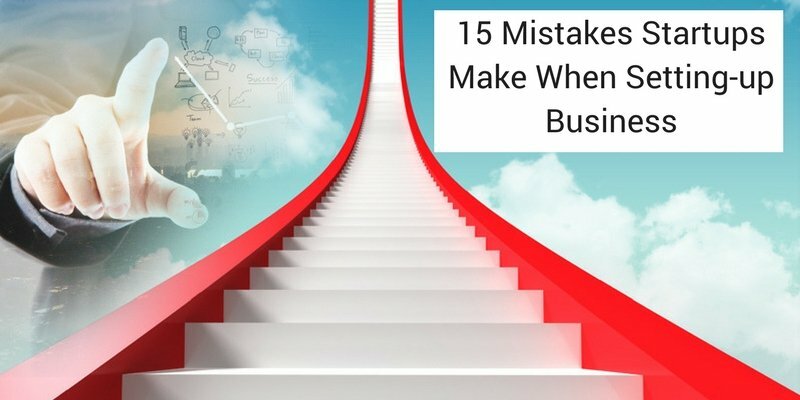 Do not make the mistake of trying to get your business known for doing everything. This only leads to confusion both within your organization with the customer base you are trying to serve. Trying to do everything only leads to mediocrity, which does not help you establish a strong position within the marketplace. If you focus on being great at one thing, it helps you establish a strong customer base, which allows you to move on to pursuing other opportunities for diversifying your offering. The best businesses are built off of being great at providing a particular product or service. Nike is known for their shoes. Mcdonald’s is known for their burger fries. Only after they dominated the market from offering their initial product did they seek to diversify their offering. Your business will need to follow the same course of action if you want to establish your business as a leader within the marketplace. Your competitors are working too hard to build their own businesses to be taken lightly. You will need to develop a team full of ambitious and talented individuals in order to compete amongst the high level of competition. You want people who are highly skilled at their position, but who are willing to operate under a team environment. This is very crucial because individual behavior will destroy the performance of your team. You cannot effectively compete against businesses that have well-knitted talented teams if your team lacks either or both qualities. You must be sure that you have put together a team that understands your vision and has the capability to make that vision a reality. If this is not the case, you might as well operate as a one-man operation because your assembled team will only drag you down. You cannot manage the people around if the environment you are in is too toxic to operate within. If you have negative people on your team, let them go immediately. It is better to get rid of a person who doing more harm to your team than good. The same goes for any operations you are working on. If the operation is more of an expense than a cash generator, stop pursuing it immediately before you you ruin your business. You cannot succeed when you have negativity within your organization. This is because it will be incredibly hard for you to focus on your goals when you constantly have to spend your time and energy on dealing with internal problems. Do yourself a favor by getting rid of the negativity around you before it destroys everything you have worked so hard to build. It is easy to become arrogant when you are in a leadership position. People have to follow your instructions in order to do their jobs. Such power can easily go to the head of individuals who have no discipline. Great leaders understand their position of authority, and therefore do not abuse their power. You must remain humble if you want to have a team of people who truly recognize your authority as their leader. This means that you do not demand people to do as you say. Instead you show your strength by navigating your team towards making the right decision. When you are firm but easy to work with, people will have no problem with following your lead. Do not mistake your position as leader as one where your team does all the work and you just sit back giving orders. Doing this will lead to resentment and a team full of people who will do anything to make you lose your authority or your business. You need to work just as hard, if not harder than the people on your team. Lead by example and not by talk. When your team sees that you work extremely hard to build your business, they understand what is expected of them to do their jobs. You cannot expect people to work hard for you when you are taking it easy doing nothing. If your team is full of lazy people, it is because you as a leader provided that example. As a leader, you are in charge of making decisions, which means that the decisions you make need to lead your team in the right direction. Therefore, you need to think out what you plan to do before placing your team in a situation that will lead to failure. Leaders are supposed to make logical decisions rather than emotional ones. You need to strategize about the course you will take and what could occur from making your decision. You want to plan for success, but also have an exit plan available in case things do not go as planned. If you let your position of power claim your humility, you will soon find yourself doing things out of your character. Of course, it is reasonable to want to make more money and increase your power, but you do not do this by being deceitful in the process. This will only lead to karma catching up to you for your actions. Make plenty of money but do it the right way. Work hard and stay committed to your vision. Do not take shortcuts trying to get to your desired destination faster. You may get there for a short-term moment, but you will suffer in the long-term for not doing things the right way. It is cowardly as a leader to allow your team to take the blame for your actions. If you made a mistake that put your organization in a compromising position, you need to own up to it instead of passing the blame. If you are not accountable for your actions, you lose the trust of your team, which negatively affects their performance. There is no reason to have your business fail just because you have a problem with being accountable for your actions and decisions. Own up to your mistakes and correct them. Your team will have more respect for you if you do so instead of blaming them. 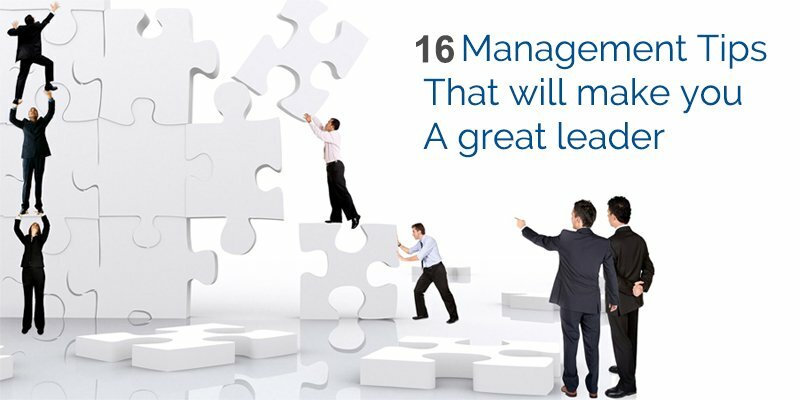 The best leaders know that they are not perfect and are willing to admit that fact.These are 18 tips that you can use to improve your management process. If you want to be a great leader, you need to understand how to effectively manage people and be a great communicator. Focus on cultivating leadership. Leave the rest to us.